There is no excuse for driving while under the influence of alcohol or any other controlled substance. However, if you do find yourself in a situation where you have been caught doing so, it is important to remember that you still have rights and you will want to discuss them with an attorney. These types of cases are known as Operating a Vehicle under the Influence (OVI) in Ohio, in other states they may be called Driving Under the Influence (DUI) or Driving While Impaired/Intoxicated (DWI) and others. Whatever the name, there are some important things to know. 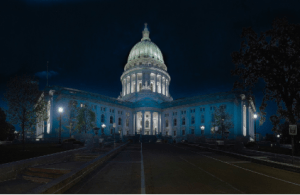 According to the Department of Motor Vehicles, most states have now set .08% blood alcohol concentration (BAC) as the legal limit for receiving an OVI. For those under the legal drinking age of 21 years old, the legal limit for driving is…zero! Even just one casual sip of beer or wine could get those individuals an OVI arrest. Because of the constant risk it poses to those on the road, driving while drunk is an offense that every court, rightfully so, takes with the utmost seriousness. Therefore, the stakes of an OVI case are quite high. According to FindLaw.com, Those convicted of an DUI (or OVI) usually lose their license for a certain period of time, pay a hefty fine, and sometimes serve time in jail (especially if it is a repeat offense). It may even impact your current employment status. If you’re in a DUI (OVI) situation, Skinner & Associates prides itself on providing exemplary customer services in this and other areas of our country’s legal system. We take every measure to ensure you are satisfied in all your legal needs. Our attorneys pride themselves on professionalism and reliability. To learn more about how we can serve your needs please visit our website or call us at (614) 664-0200 today. Like us on Facebook to stay up-to-date on current tips and information. According to Duhaime’s Law Dictionary. Civil litigation is a term of art which distinguishes lawyer Court work in the non-criminal stream of actions in law. Did even reading that sentence cause some confusion? Let’s try to rephrase that in a clearer way. Basically, civil litigation encompasses not just the representations made in Court but also the pre-trial procedures including interlocutory hearings, and the post-trial procedures such as costs and enforcement of a judgment. 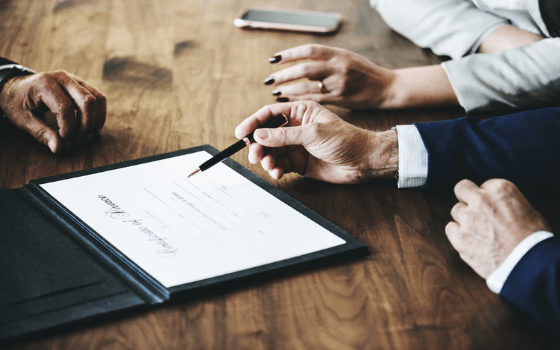 The three most common forms of civil litigation for people in the United States are family law claims, tort claims and claims in which a breach of contract is alleged. In other words, when two or more parties become embroiled in a legal dispute seeking money or another specific performance rather than criminal sanctions, civil litigation is the result. The next step for both parties is to head to the courtroom for trial so a judge or jury can decide the matter. This is often the case when it comes to disputes with landlords and tenants, personal injury claims, medical malpractice claims, real estate lawsuits, and construction liability lawsuits. If you are experiencing any of these issues, Skinner & Associates prides itself on providing exemplary customer services in the area of employment law and other areas of our country’s legal system. We take every measure to ensure you are satisfied in all your legal needs. Our attorneys pride themselves on professionalism and reliability. To learn more about how we can serve your needs please visit our website or call us at (614) 664-0200 today. Like us on Facebook to stay up-to-date on current tips and information. Believe it or not, we all have an estate, and it’s comprised of everything you own from your car and home to bank and investment accounts in your name, and even your furniture. Here are a few things to keep in mind when creating your estate. In its most simple form, a Will is a way for a deceased person to dictate where their assets will go after they pass away. You can distribute your assets any way you choose, weather that be to family members and friends or charities that are meaningful to you. You will also appoint an executor—the person who will be in charge of distributing the assets. 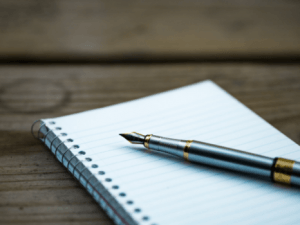 A Trust is very similar to a Will in that you can decide what will happen to your estate when you pass away; however, a trust also applies if you become unable to manage your assets while you’re still alive. A Trust will also be used if you want your estate to be given away gradually, as opposed to given in full at one time. A Power of Attorney is a document that grants certain Powers to an agent to execute specific tasks on your behalf. There are two types of Powers of Attorney: financial—which allows the agent to make financial decisions on your behalf. There is also medical—which allows the agent to make medical decisions on your behalf. A Living Will is a document stating whether or not you want to be kept alive on life support should you become terminally ill or fall into a vegetative state. It can also address other important questions about your preferences on tube feeding, artificial hydration, or pain medication. If you want to begin the estate planning process, but aren’t quite sure where to start, Skinner & Associates can help. Let us take the stress out of estate planning. Give us a call today at 614-664-0200, or visit our website to learn more. Parents want to do what is best for their children, especially during difficult times, such as a divorce. Shared parenting plans can be vital to the well-being of a child in a divorce situation, and therefore complicated. They cover a variety of issues including parental rights, financial responsibilities, and a parenting time schedule. Skinner & Associates works with parents to create a shared parenting plan that is best for the child and for the parent. A shared parenting plan protects parents’ rights regarding a host of issues. This includes the right to attend and participate in decisions regarding medical care, education, and your children’s general welfare. Each parent’s roles, responsibilities, and limitations need to be clearly defined in the shared parenting plan. These include topics such as child support, tax exemptions, and schedules, as well as the requirement to encourage a positive relationship with siblings and the other parent. You and your attorney will need to determine a detailed schedule for each parent including weekdays, weekends, holidays, and vacation times. Who will carry medical insurance and how will expenses for medical bills and extracurricular activities be divided? Who will pay child support and transport your children to school or to parental visits? Though sometimes these decisions do not come easily, Skinner & Associates will guide you through these decisions. What if Parents Don’t Agree? Skinner & Associates can offer guidance and work with the other parent or their attorney when disagreements arise. Your attorney can also help put a process for mediation in place, when needed. 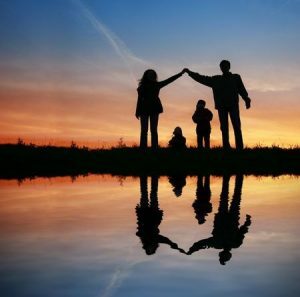 Our goal is to help you come to an agreement for the shared parenting plan. 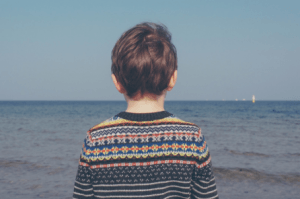 What if the Shared Parenting Plan is Violated? 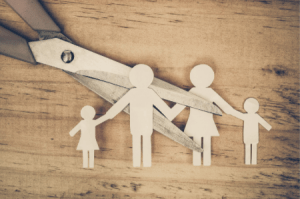 When one parent violates the shared parenting plan by taking a child, not following schedules, or other grievances, you should contact your attorney immediately. Your attorney can advise you on your best plan of action to get a modification or other remedy through the court system. If you have questions about shared parenting plans, need to modify your existing plan, or if your shared parenting plan has been violated, contact the trusted lawyers at Skinner & Associates. Call 614-664-0200 for a consultation, or visit our website for more information on how we may be able to help you. 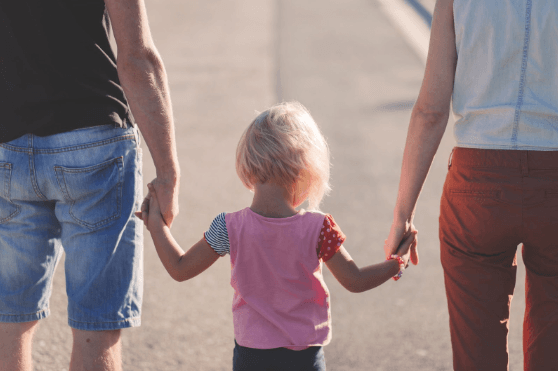 If you’ve chosen to expand your role as a stepparent and want to legally adopt your stepchild, there are a few steps you’ll need to follow before it becomes finalized. Obtain Consent: each birth parent needs to consent to the adoption in order to move forward. In certain specific situations, you may not need consent. Contact Skinner & Associates, LLC today to discuss whether these exceptions apply to your case. Hire us! : during this entire process, you’ll want an attorney who is well versed in this specific type of law. This will make the entire process easier on you and your family. Obtain all required legal forms: when the time comes, you’ll need to obtain all pertinent legal forms, which is something Skinner & Associates, LLC can assist you with. Submit all required paperwork: after you’ve worked with your attorney to correctly fill out all required paperwork, your attorney will submit it to the correct Probate Court in the proper county to get it processed. Wait to hear about your court date: after you’ve submitted all your paperwork, a case worker will conduct a home visit. The court will set a hearing, usually a few months out. Your hearing will be held by a judge or magistrate. Your attorney will prepare you for this hearing. At the end of the hearing, the judge will give their ruling. If they approve the adoption at this hearing, the adoption will be finalized and an adoption certificate will be issued. If you want to adopt your stepchild and need the help of experienced attorneys, contact Skinner & Associates today at 614-664-0200 to schedule a phone consultation. We practice in many areas of family law, and are here to help you through the process. You can also visit our website at www.skinnerattorneys.com to learn more about our areas of practice. In some cases, there can even be jail time if the spouse who is not making support payments is found to have adequate financial resources, or if they refuse to abide by visitation agreements. The length of the sentence is left to the judge’s discretion. Divorce issues, especially when they deal with child custody, are fraught with emotion and exhaustion. This is a very difficult time and in many cases, a lot is on the line. You need the help of a lawyer who is experienced in family law. Skinner & Associates represents individuals in a number of areas of family law. If you have questions or concerns regarding your rights or obligations, we will work aggressively on your behalf. Skinner & Associates will give you the personal attention that you deserve. Contact us today for a no obligation consultation by calling 614-664-0200, emailing info@skinnerattorneys.com, or visit our website for more information about Skinner & Associates Attorneys at Law. As much as some of us love watching reality shows about houses, sometimes, their version of reality TV isn’t exactly reality. At best, it’s an abbreviated version of the truth, showing some crucial steps when it comes to buying, selling, or up keeping a home, but leaving out many others. At worst, shows centered around the real estate process can spread extreme falsities on the realities of the real estate market. In the real world, buying and selling your home is full of complexities, and if you’re inexperienced with the housing market, you could become overwhelmed. One area that prospective home buyers find especially complex is the legalities behind their upcoming home purchase. Although real estate law is something reality TV shows largely eliminate from their entertainment, it is a fundamental practice that protects your rights and interests. Real estate law covers potential legal issues including problems with home sales, purchases, leases, and other transfers of real estate and property. Real estate law also resolves issues such as landlord-tenant issues, property development, zoning, financing, and mortgages and foreclosures. Having a qualified real estate attorney during your home search is just as crucial as hiring your real estate agent. A real estate lawyer can review complex paperwork for you and represent you at closings to ensure physical, environmental, and other details are fully explained to your satisfaction. There is no denying that the shows that conquer the reality TV lineup are entertaining and provide inspiration for both home buyers and home sellers alike. But no matter how many episodes you may watch, it is often still difficult to get a comprehensive overview of real estate best practices, particularly in the area of real estate law. That’s where an experienced team like Skinner and Associates comes along; we’ll use our skills and experience to guide you through the complex legalities behind your home purchase. If you or someone you know needs help in the Real Estate law area, contact Skinner & Associates Attorneys at Law by calling 614-664-0200, emailing info@skinnerattorneys.com or visiting our website for more information on our services. If you’re being sued, or suing someone, it can become a very stressful situation. Luckily, with a little guidance, you can decide what the right plan of action is depending on your personal position. The attorneys at Skinner & Associates can assist you both if you’re being sued or if you need to sue someone else. 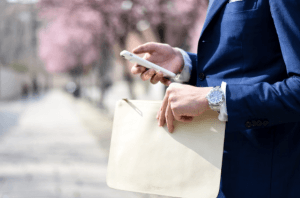 The first thing you need to do upon hearing that you’re being sued is to immediately contact an attorney so that you do not miss any deadlines. An attorney with experience in the area of law in which your lawsuit involves will be able to give you the best advice on how to proceed. He or she can tell you how to respond to the claims, what your defenses may be, and how to prepare your case for trial. In most cases, your attorney will serve as your agent in court, and will take the responsibility of filing legal forms, talking to the judge, presenting your arguments and generally minimizing the impact of the lawsuit on your life. Attorneys at Skinner & Associates can also help you attempt to settle your case before trial. Whether you’ve been in an accident or have a financial dispute, you may have a claim against someone else. Before suing, the attorneys at Skinner & Associates will discuss the merits of your claim and possible outcomes. Sometimes, alternative dispute resolution such as mediation could assist you in settling your claim without a trial. At times, settling a case without a trial could save you the cost of taking depositions and hiring experts. If you’re looking to sue, or are currently being sued and need the opinion and guidance of a lawyer, contact Skinner & Associates today. We can guide you through the entire process, and help you along every step of the way. Call or email us today at 614-664-0200 or info@skinnerattorneys.com. Please visit our website to learn more about the services we offer.